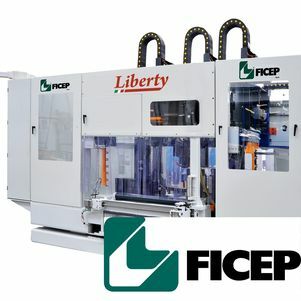 FICEP Liberty is a new three spindle drilling line for the processing of beams and shaped rolled sections. With the new innovations and the modular structure it is a significant step forward in beam processing. The Liberty is compact, essential, linear and veryhigh tech with its new Direct Drive motors. The power of the motor and the speed of positioning together with the new rack and pinion driving cinematics give a feeling of silence and speed under control never felt before. - plasma or oxy thermal cutting to automatically cut shapes such as coping or flange thinning, ratholes, weld prepping, splitting in the section.